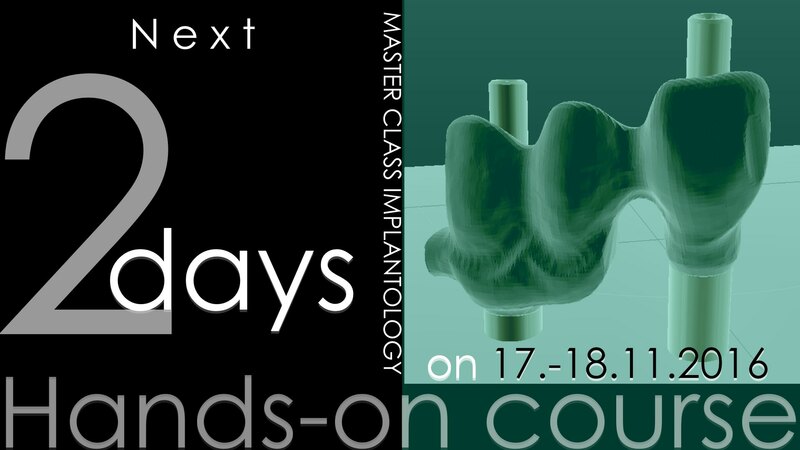 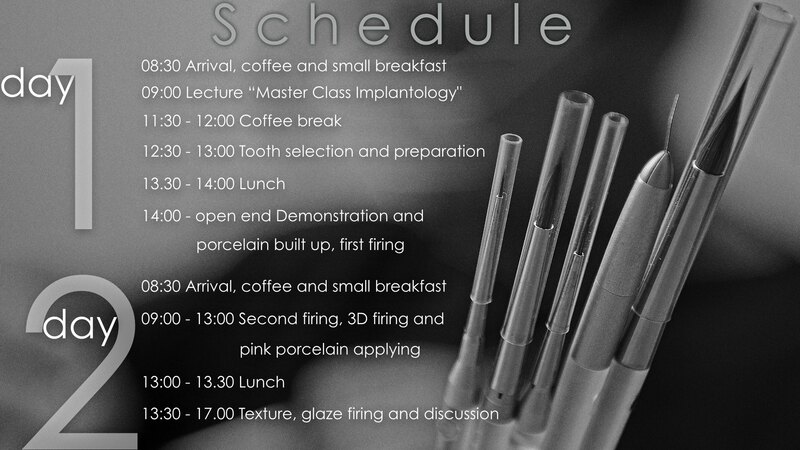 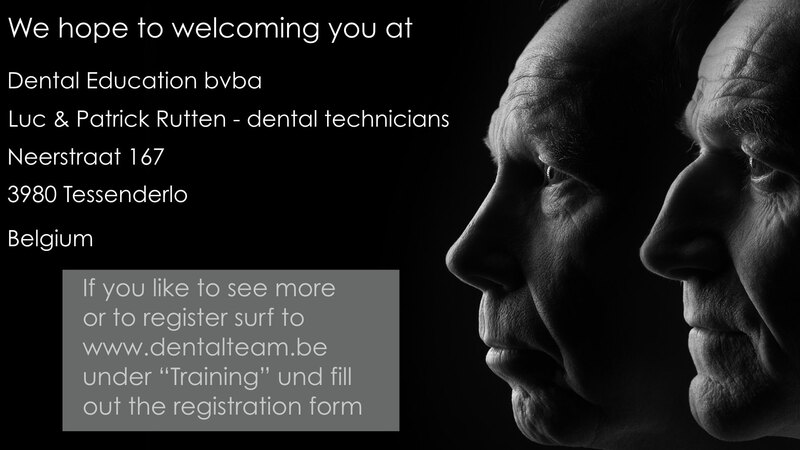 Through Dental Education we offer two distinct training programmess:a two-day masterclass on individual, zirconium-based porcelain build-up inspired by nature and a two-day masterclass on implantology. 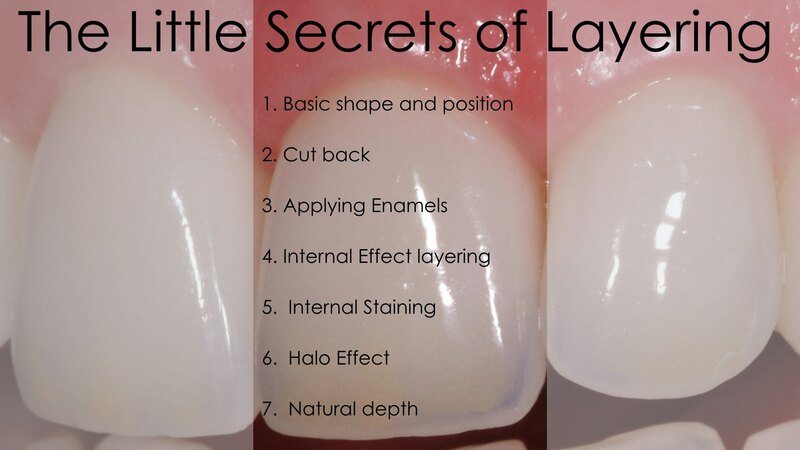 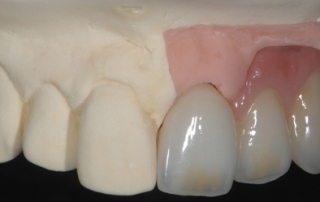 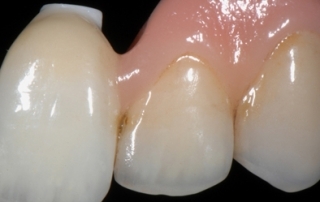 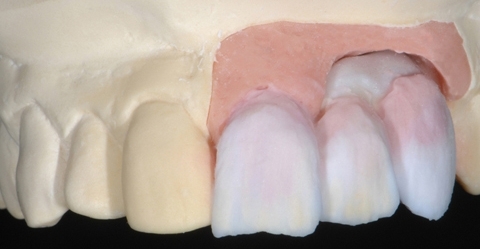 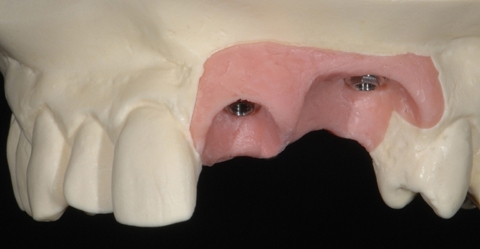 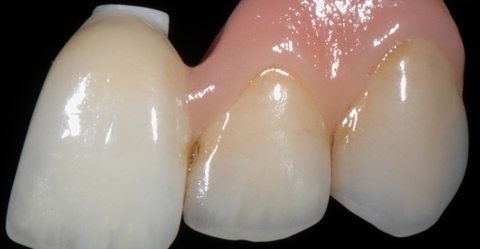 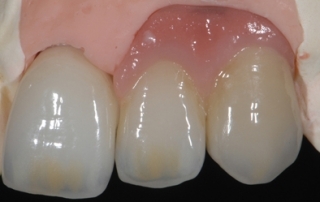 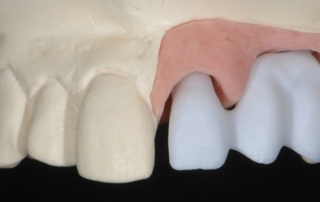 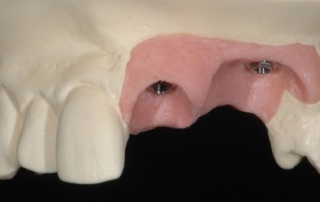 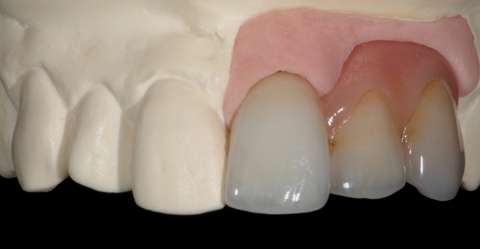 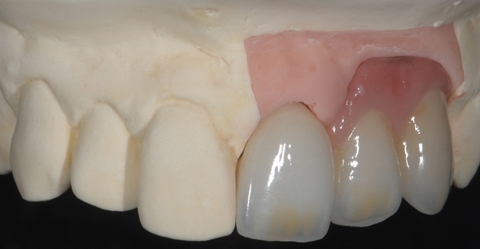 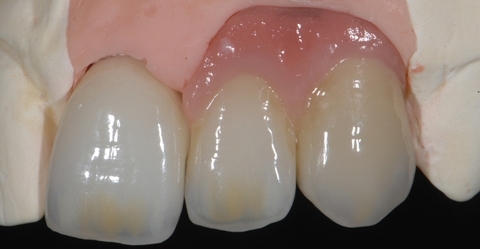 When it comes to complex, highly aesthetic restorations, the rapid developments of these last few years set new challenges for dentists and dental technicians alike. 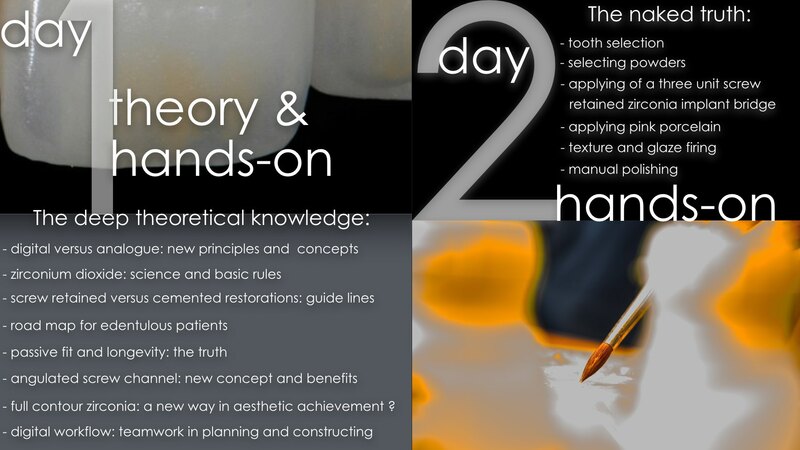 Of paramount importance for successful restorations is a structured, ergonomic and rational approach.This masterclass not only demonstrates the systematic porcelain build-up process, but also explains the basic requirements for achieving a high-quality, aesthetic and functionally sophisticated all-ceramic restoration in great detail.The instructors make the connection between various aesthetic realizations, which are explained in a presentation.Thanks to the collaboration with various international dentists the successful treatment concepts can be explained from different perspectives.Goal:During this two-day masterclass the participant is given an understanding of aesthetic dental technology. 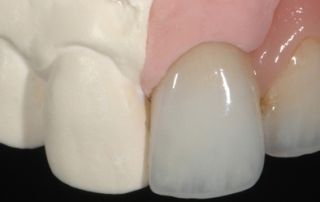 The goal is to achieve a durable, aesthetically pleasing, final result, using a highly rational and structured approach, including the correct selection of ceramic powders, always keeping the motto “Time is money” firmly in mind. 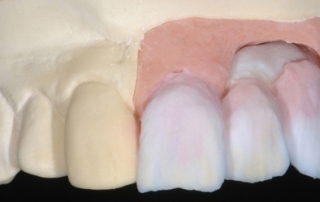 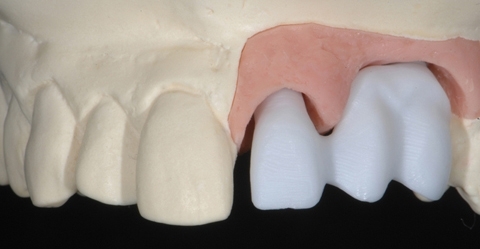 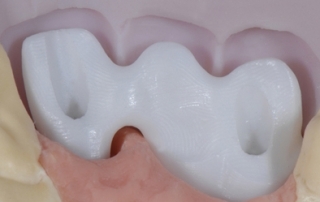 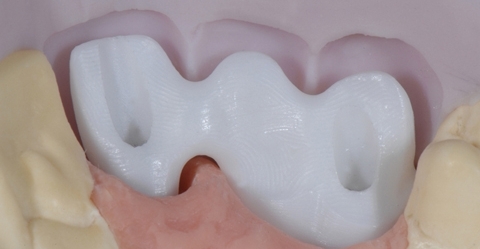 The theoretical part:Detailed explanation of how the basic material zirconium dioxide – with its convincing aesthetic properties, biocompatibility and durability – has to be prepared for use in the porcelain build-up and, despite the skepticism, its many and versatile applications.The zirconium dioxide – porcelain compoundIndividual porcelain build-up with Vita VM9The transition from restoration to natural gingivaExplanation of brightness, saturation and colourA choice of colour from one of the participants.The practical part:First, three zirconium dioxide-based front crowns are built. 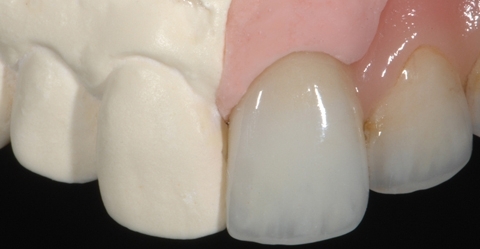 The tooth colour is selected from one of the participants. 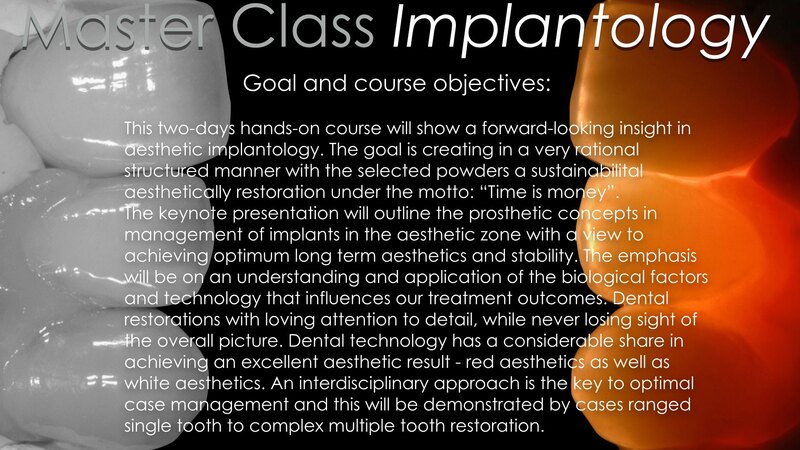 The course participant is initiated into the academy of porcelain build-up, using the selected colour as guidance.Detailed demonstration of how to apply structure to the porcelain surface, add glaze firing and manually polishing.Target group:Dental technicians with some experience in the domain of porcelain techniques.Note: After payment of the registration fee, we will send you a training model which will be used to realize the three zirconia crowns.Duration:Two days:Day 1: 8.30 am – open end – 2 hour presentation, followed by practical applicationDay 2: 8.30 am – 4.30 pmTraining materials and lunch are included.On request we can reserve accommodation for you in the area. 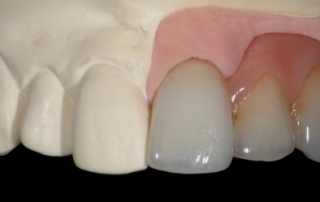 Any lost soft or hard tissue is compensated with pink gingiva porcelainStructuring of the surface and preparation of the glaze firingGlaze firing and characterizationFinal manual polishingThe implantology masterclass always ends with an open discussion.Target group:The implantology masterclass requires some preparation. 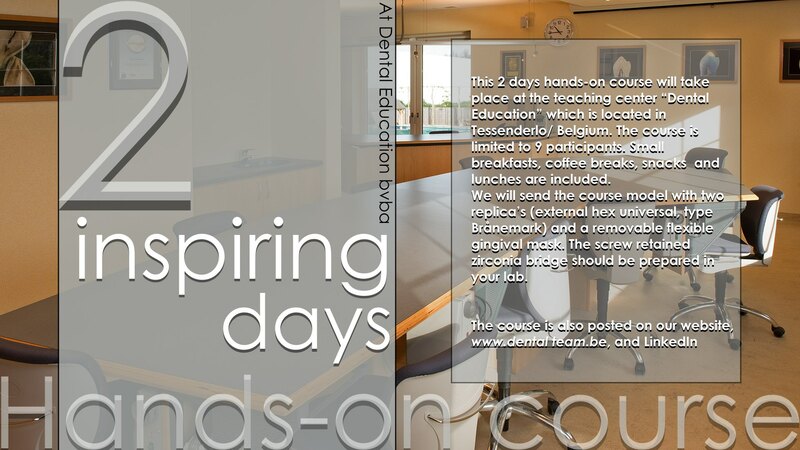 We expect you to make an aesthetic wax-up with functional and aesthetic aspects in mind and according to your own creativity.Training materials and lunch are included.On request we can reserve accommodation for you in the area.